"Presenting a book to the world is always a thrill and something of surprise. Here I am hunkered down in my office or out in the garden, and suddenly ‘Vegetable Literacy’ is out there, no longer my near secret activity of the past two years. As my artist husband says about his paintings, he wants them to 'grow up and go to college' – that is, get out there in the world, and it’s the same with a book. Although this first foray into the world feels tender and vulnerable; a bit of shock, really, I’m thrilled to have had the chance to write ‘Vegetable Literacy’. I hope it inspires those who read it as it did me while writing it." This groundbreaking new cookbook, is Madison’s crowning achievement: a celebration of the diversity of the plant kingdom, and an exploration of the fascinating relationships between vegetables, edible flowers, herbs and familiar wild plants within the same botanical families. 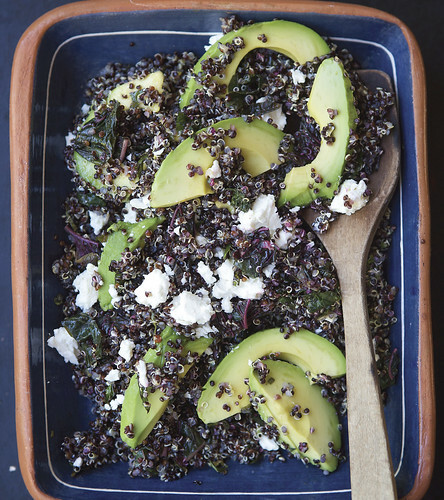 Black Quinoa Salad with Lemon, Vegetable Literacy, featured in our April 22-26, 2013 Newsletter. Deborah so graciously shares her knowledge and passion in this epic, new cookbook. We are so grateful to her for sharing her thoughts, one of her recipes from her new book, and some home gardening advice with us. Do you have a favorite ingredient or vegetable from Vegetable Literacy? nothing quite like a fresh picked pea, asparagus or tomatoes. Or potatoes. Or eggplant. Or exotic winter squashes. They all take their turns as favorites. If someone were looking to start an edible garden of their own, do you have recommended plants to try first as a beginner? I consider myself a beginner, so I'm somewhat cautious - I have to consider what I can actually take care of and how much water it will use and will I really be home to take care of big cabbage or broccoli. It's hard for me to start things from seed indoors (tiny house), so I make use of my local nursery who not only has starts, but has interesting starts and is willing to grow out seeds of plants customers think are interesting, and that's a big help. That way I can have a variety of tomatoes, instead of just one, and so forth, or shishito peppers or eggplants. But summer squash are rewarding unless you live where you have infestations of squash bugs (like New Mexico.) I love growing peas of all kinds, especially southern peas, and beans. I mix trellised vegetables with flowers, like morning glories because they look so great, and I think mixing up vegetables with flowers helps keep the bugs at bay. 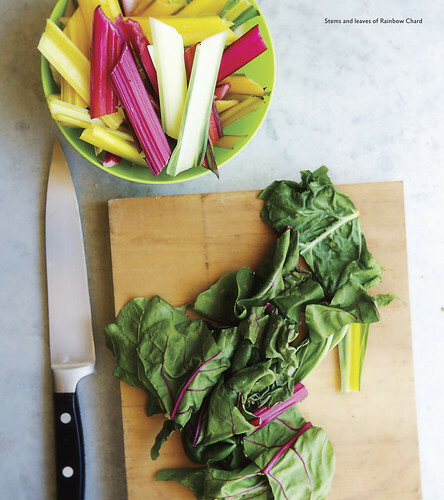 Chard is a must. Kale. Kohlrabi. Lettuce is easy. 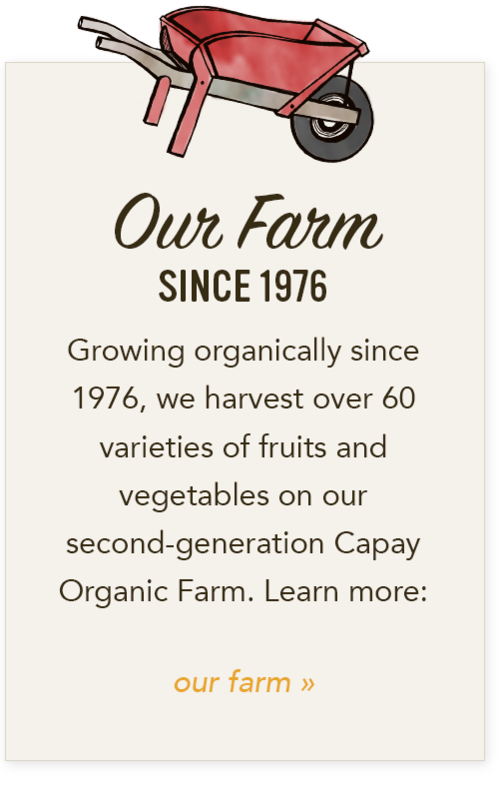 Spinach is variable due to hot weather, but better in the cooler ends of the seasons. I know I'm forgetting a lot of things. Potatoes! They're very rewarding and fun to harvest and eat. Personally, I love to grow orach, amaranths of all kinds, cardoons, salsify, lots of herbs both annual and perennial. And I can't resist trying anise seed and caraway and cumin, also angelica and lovage. They're not your everyday plants, and they are probably impractical, but I find them interesting. And I definitely use them. This summer I want to try wheats. Oh, and buckwheat, for a ground cover, is so pretty and strong. 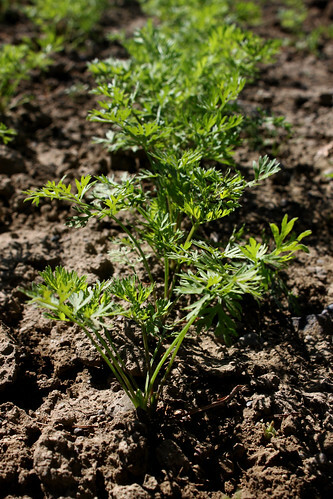 Carrots growing on our farm. Warm the ghee in a wide soup pot and add the onion, ginger, carrots, spices and cilantro stems. Give a stir to coat with the ghee and cook over medium heat for about 5 minutes. Add the water and 1 1/2 teaspoons salt and bring to a boil. Lower the heat, cover, and simmer until the vegetables are quite soft, about 20 minutes. Puree in a blender until very smooth. Cover and chill well. The flavors dull with the cold, so season with the lime juice and with more salt, if needed, just before serving. To make the sauce, stir together the yogurt, chile, cilantro and basil. Swirl a spoonful of the sauce into each serving of soup and add a pinch of sumac to each bowl. A big thank you to renowned chef and cookbook author Deborah Madison for sharing her insight and her wonderful Chilled Spicy Carrot Soup with Yogurt Sauce recipe with us! We hope you find as much inspiration in her words and recipes as we do. 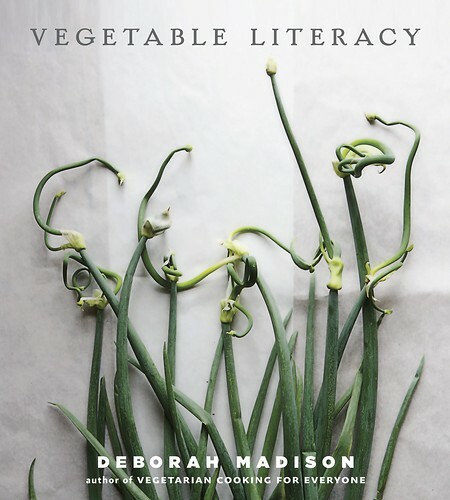 Deborah has generously offered two signed copies of Vegetable Literacy to give away. Enter to win here by 8:00 a.m., Tuesday, April 30th! Be sure to check out her book Vegetable Literacy! "Along with the good and beautiful plants a garden can give us, it also brings the world into focus, plants into relationship, and that’s terrifically exciting. We needn’t be botanists for this magic to unfold; mostly we just have to look and relationships will show themselves to us." 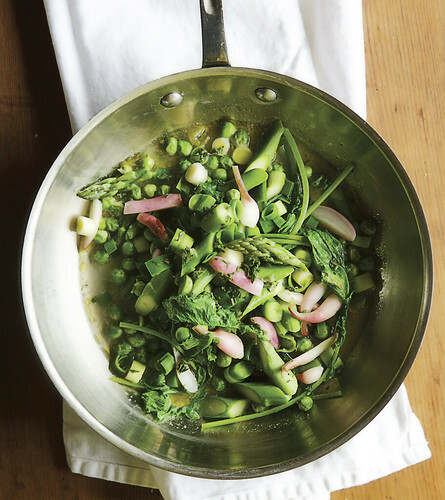 In her latest cookbook, Deborah Madison, America’s leading authority on vegetarian cooking and author of Vegetarian Cooking for Everyone, reveals the surprising relationships between vegetables, edible flowers, and herbs within the same botanical families, and how understanding these connections can help home cooks see everyday vegetables in new light. This groundbreaking new cookbook is Madison’s crowning achievement: a celebration of the diversity of the plant kingdom! Destined to become the new standard reference for cooking vegetables, Vegetable Literacy shows cooks that, because of their shared characteristics, vegetables within the same family can be used interchangeably in cooking. It presents an entirely new way of looking at vegetables, drawing on Madison’s deep knowledge of cooking, gardening and botany. With more than 300 classic and exquisite recipes, Madison brings this wealth of information together in dishes that highlight a world of complementary flavors. We are ecstatic to announce that we have two signed copies of this amazing book to give away! 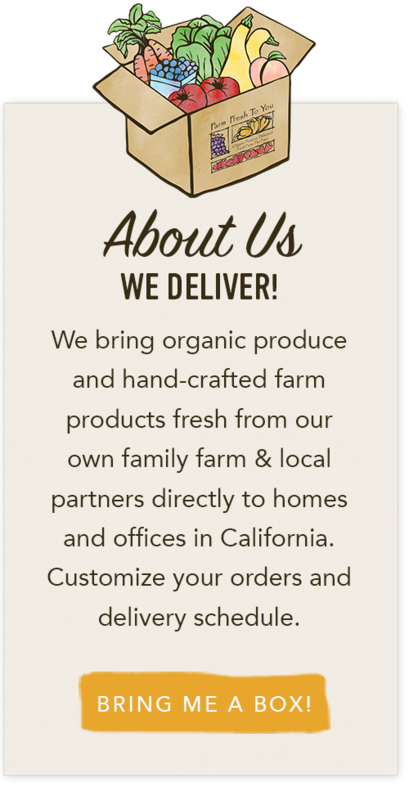 Raised in Davis, CA, Deborah is a local icon having spent years in the San Francisco Bay Area where she worked at Chez Panisse and was the founding chef of world-renowned vegetarian restaurant Greens - both important Bay Area restaurants to have established local, farm-driven menus. 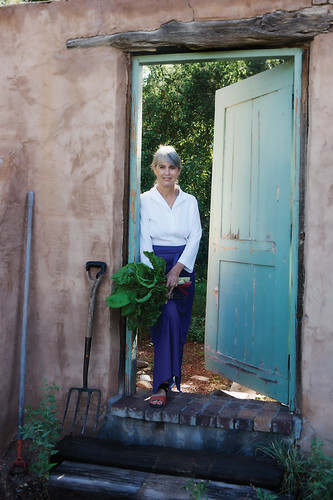 She now resides just outside of Santa Fe, New Mexico where she is still writing cookbooks and is very involved in the local farmers' market. Her passion for the sustainable and local food movement follows her wherever she goes and is expressed in an array of endeavors such as cooking, writing and teaching. That's the thing about Deborah - her passion is inspiring and can't help but be transferred to your cooking and eating! or recipe is your favorite? New to Deborah Madison's cooking? Learn more about her cookbooks and recipes here. No purchase required. Limit one entry per person, please. Entries will close on Tuesday, April 30th, at 8:00 am. Winners are chosen by Random Number Generator and announced on our blog on Tuesday, April 30th. There are so many wonderful and encouraging comments! Love The Greens Cookbook - always looking for new and creative ways to incorporate more greens into our diet. Vegetarian Cooking for Everyone has been one of my most resourced cookbooks since I bought it 10 -12 years ago. It's hardcover, which is good, because the amount of loving abuse I expose my favorite cookbooks to is pretty intense. You can always tell my favorite recipes by the wrinkled, stained, and caked pages. A big thank you to Deborah Madison! Be sure to check out Vegetable Literacy and our next post featuring some of her scrumptious recipes.